Norwegian Foreign Minister Jonas Gahr Støre had an unpleasant task on Monday, telling EU officials in Brussels that Norway wouldn’t be going along with an EU directive on postal services. It’s the first time Norway has indicated it plans to use its veto right. Norway’s “no” on the so-called “post-directive” hasn’t had any dire consequences yet. EU officials simply said they’d registered Norway’s position and “invited for more dialogue” on the problems Norway has with it. At issue is a directive that would further deregulate Norway’s postal system along with others in Europe. It would require the Norwegian postal service (Posten) to give up its monopoly on letters weighing less than 50 grams and such postal services would be put out to bid. Ironically, Støre and other leaders of his Labour Party wanted Norway to once again go along with the EU directive, but a grass-roots movement within the party mobilized earlier this spring and forced a vote on the issue at a national party meeting in April. They won, and Labour leaders like Støre and Prime Minister Jens Stoltenberg lost. With other opposition parties and even Labour’s two government partners against the directive, which, it’s feared, would destroy Posten, Støre wound up having to front Norway’s opposition in Brussels. He continued to try to downplay the situation, telling Norwegian Broadcasting (NRK) that he didn’t think the issue was so historic as the media was making it out to be. EU officials could retaliate by gutting parts of the European economic cooperation agreement Norway has with the EU that gives it access to the EU market. Speculation has run high on what a Norwegian veto will mean for its relations with the EU, in which Norway is not a member. Støre also put a brave face on his difficult task to explain Norway’s opposition to the post directive. 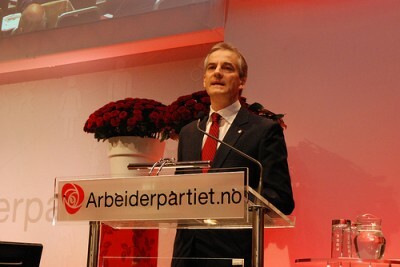 Half-heartedly or not, Støre said he would explain why Norway believes the directive would make it difficult for Norway to secure postal services in the entire country, or make sure that those working in the postal service will have a secure job environment. The EU wants full competition also for the mailing of letters. It’s unclear what the other two countries outside the EU that are partners with Norway on economic matters, Iceland and Liechtenstein, think about Norway’s veto. Some say there’s a good chance they’ll be critical, leaving Norway out in the cold.